A Parlor Chair, a Blanket Chest, and a Fabulous Suter Secretary! Coming up! FREE APPRAISAL DAY with Normal Dill and Will Paulsen! Saturday, July 28, 10-2pm. Bring in your treasures and receive a free appraisal! Vintage bench “Plume” & Garden decoration, circa 1920-1930, Booth 405, $178.00. Victorian parlor chair, newly redone upholstery, hand carved,, original castors. $315.00 Booth 405. 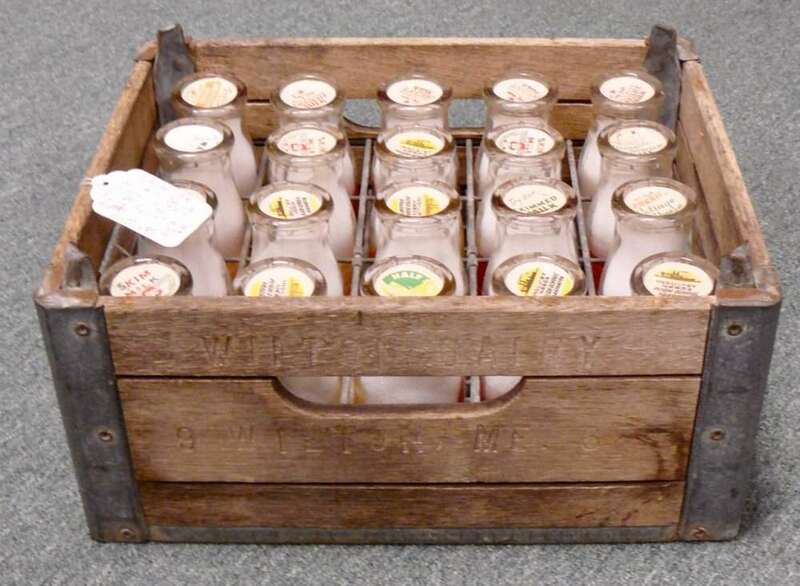 Wilton dairy wood crate with 20 Wilton dairy 1/2 pint milk bottles. Booth 38, $195.00. 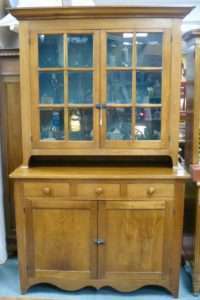 Antique stepback cupboard. 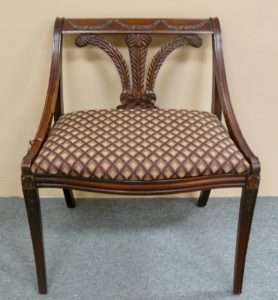 Booth 314, $1695.00. 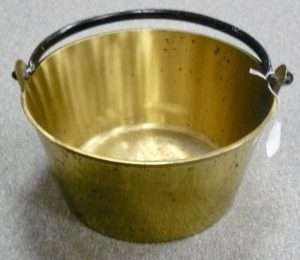 Vintage heavy solid brass bucket. 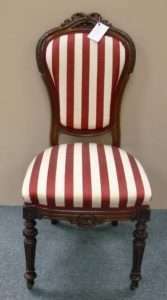 Booth 314, $135.00. 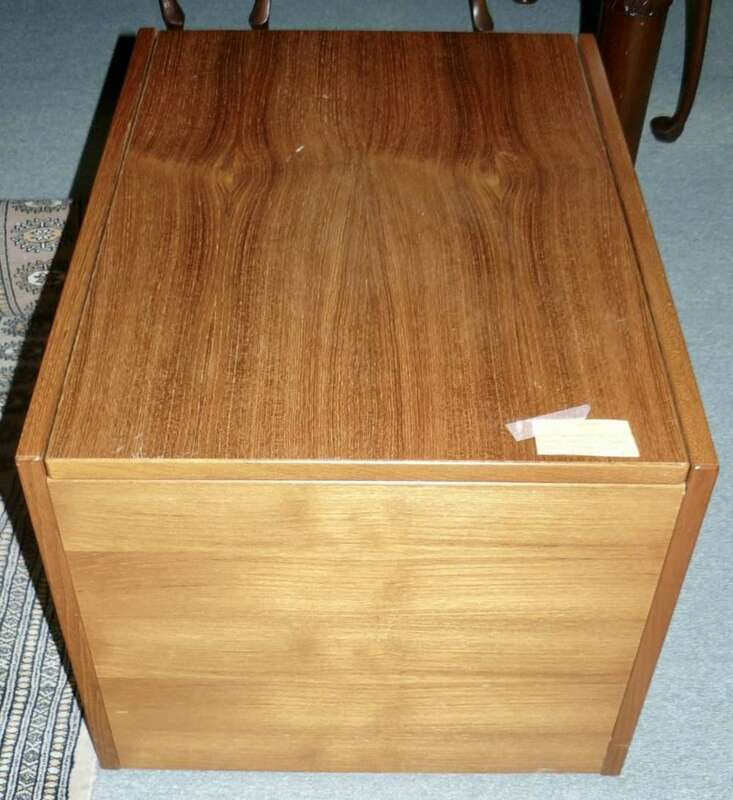 Mid-century modern danish, teak rolling storage cabinet/coffee table with sliding top. 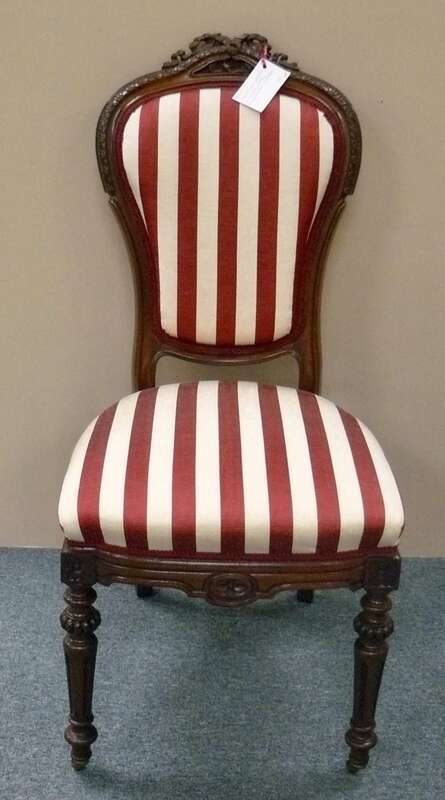 Booth 314, $295.00. Henry Ford museum – Greenfield village limited edition – “American life collection” replica Grandfather clock – Joseph Doll, Lancaster, PA. Circa 1800, 86″ tall, Booth 314, $1875.00. 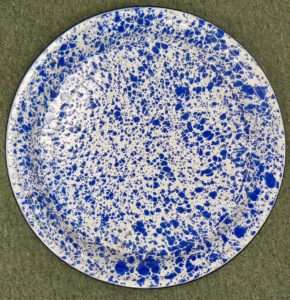 Spatterware round tray. 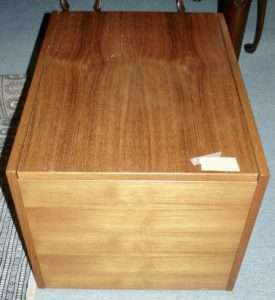 Booth 40, $30.00. 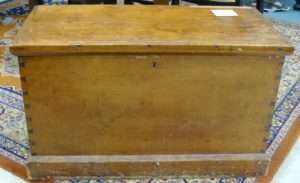 Pine dovetailed blanket chest, good restoration piece. 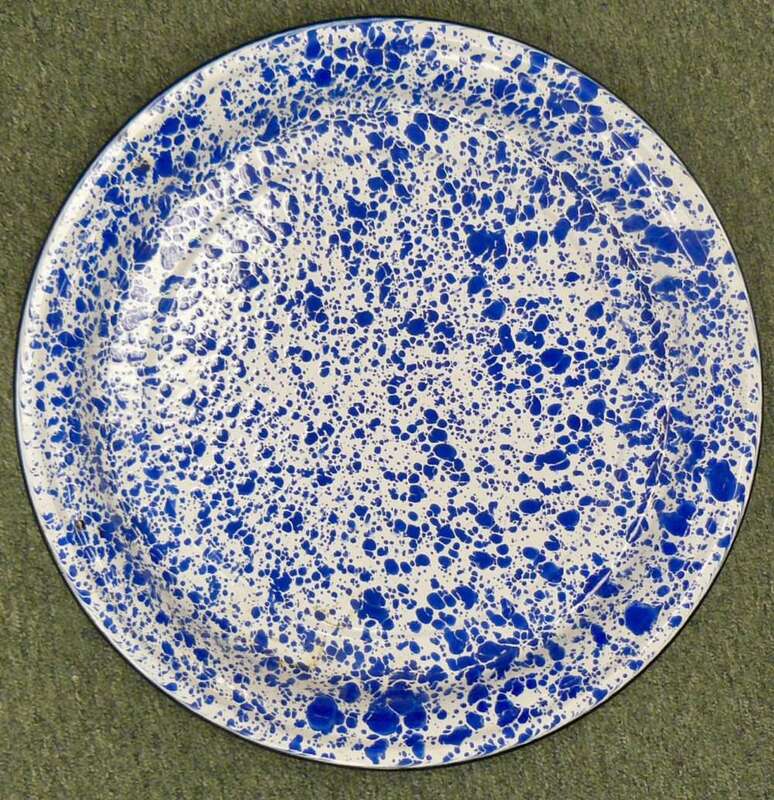 Booth 33, $90.00. 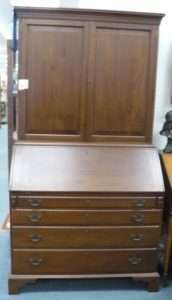 Suter (walnut) secretary, like new condition. 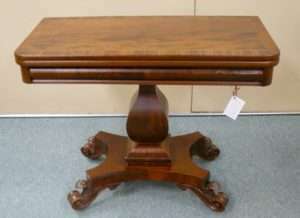 Booth 33, On sale, was $4500.00 now $3000. 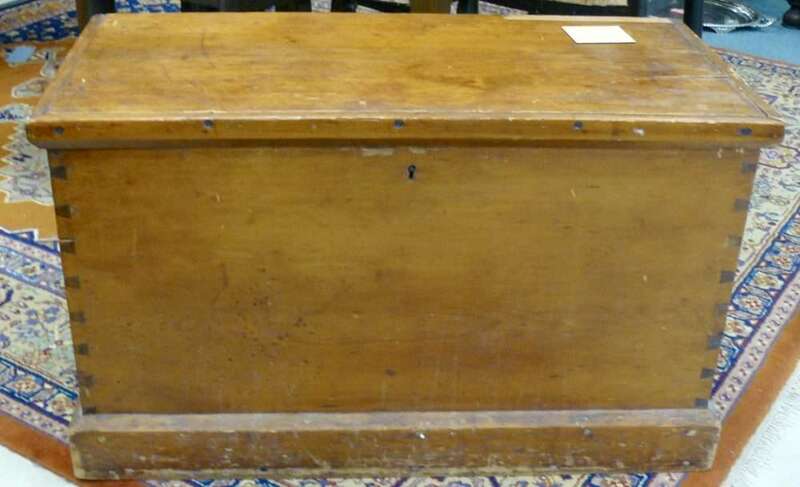 ‹ A Fabulous Traveling Piano, a Squash Blossom and a Wonderful Chest/Desk!